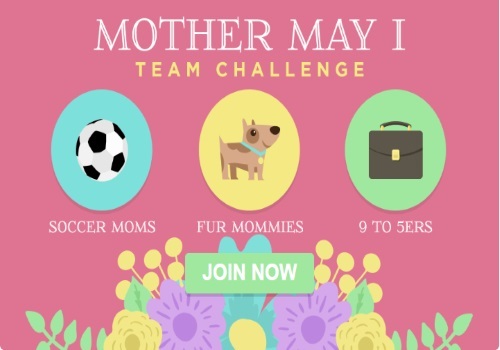 Swagbucks has a new team challenge for Mother's Day! All members who participate and contribute at least 300 points to their team's total will receive a SB bonus in the form of a SB Swag Up Rebate! Members of the 1st place team will receive a 40 SB Swag Up Rebate, members of the 2nd place team will receive a 20 SB Swag Up Rebate, and members of the 3rd place team will receive a 10 SB Swag Up Rebate! Your SB Swag Up Rebate will be made available on Monday, May 9 and will expire on Tuesday, May 31. The team challenge ends at 12pm PDT/3pm EDT on Friday May 6, 2016. MyGiftCardsPlus - Make any purchase at MyGiftCardsPlus and when you receive your SB you'll contribute 75 pts to your team. Survey Completes - Earn SB when you complete a survey and you'll contribute 30 pts to your team! Discover - Earn SB by discovering great deals on your desktop or through the Swagbucks Mobile App and you'll contribute 18 pts to your team! Search - Earn SB through Swagbucks Search and contribute 15 pts to your team! Watch - Earn SB when you watch entertaining videos from nCrave and Watch and you'll contribute 12 pts to your team! Swagstakes - Try your luck in a Swagstakes and contribute 8 pts to your team! Shop - Visit a store from our Mother's Day Sale and you'll contribute 5 pts. Max 8 unique stores. Swag Codes - Redeem daily Swag Codes through the SwagButton browser extension or the Swagbucks Mobile App! Contribute 2 pts to your team. If you're already a Swagbucks member, click here to be randomly assigned to a team.